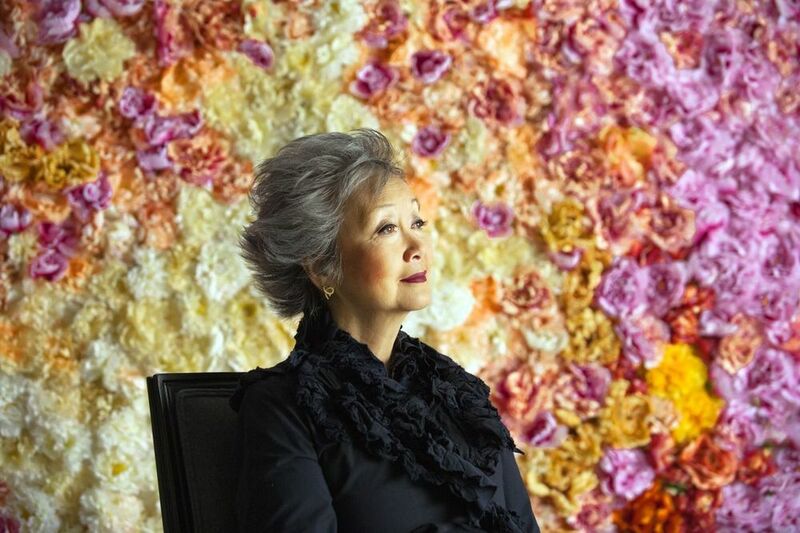 Welcome to the official website of The Right Honourable Adrienne Clarkson, Canada’s 26th Governor General from 1999-2005. Madame Clarkson is universally acknowledged to have transformed the office during her six years at Rideau Hall and to have left an indelible mark on Canada’s history. She is the bestselling author of the 2014 CBC Massey Lectures Belonging: The Paradox of Citizenship, Heart Matters: A Memoir, Room for All of Us: Surprising Stories of Loss and Transformation, and a biography of Dr. Norman Bethune. She has made the astonishing journey from a penniless child refugee to an accomplished broadcaster and distinguished public servant in a multi-faceted lifetime and has received numerous prestigious awards and honorary degrees in Canada and abroad. In 2005, Madame Clarkson co-founded the Institute for Canadian Citizenship to help new citizens in Canada integrate into Canadian life. In 2006, she established the Clarkson Cup, the championship trophy for Women’s Hockey. Since 2007, she has been the Colonel-in-Chief of the Princess Patricia’s Canadian Light Infantry. A Privy Councillor and Companion of the Order of Canada, she lives in Toronto. L-R: John Ralston Saul, Co-chair of the Institute for Canadian Citizenship, Calgary Mayor Naheed Nenshi 2015 Lecturer, The Rt Hon AdrienneClarkson, Co-chair of The Institute for Canadian Citizenship, Charlie Foran, CEO of the Institute for Canadian Citizenship. November 2, 2018 — I’m No Longer Governor General, But I Still Serve Canada. September 14, 2018 — Canada’s civic vocabulary is broken. How can we fix it? A user’s guide to inclusion. December 14, 2017 -- Madame Clarkson pays tribute to Chief Justice Beverley McLachlin on the occasion of her retirement Gala Dinner at the Shaw Centre in Ottawa. An excerpt of her speech was published in the Globe and Mail. September 27, 2017 -- Ai Weiwei receives the Adrienne Clarkson Prize for Global Citizenship. July 28, 2017 -- Artist Ai Weiwei to receive 2017 Adrienne Clarkson Prize for Global Citizenship at 6 Degrees Citizen Space at Koerner Hall in Toronto the evening of Wednesday, September 27th. June 30, 2017 -- Madame Clarkson speaks in Paris at UNESCO's High-Level Meeting, Soft Power Today: Fostering Women's Empowerment and Leadership, delivering the keynote for the Leadership and Power - Women in Politics session. April 24, 2017 -- 6 Degrees Vancouver: Are You Home? is taking place at SFU Public Square in Vancouver, B.C. To learn more about the one-day event, click here. April 3, 2017 -- At the invitation of the City of The Hague, 6 Degrees Den Haag is taking place at The Peace Palace in the Netherlands. February 1st, 2017 -- We Must Remember that Canadians Are Not Immune to Racism, an excerpt from Madame Clarkson's speech delivered to new Canadians at a citizenship ceremony at Rideau Hall, was published in the Globe and Mail. 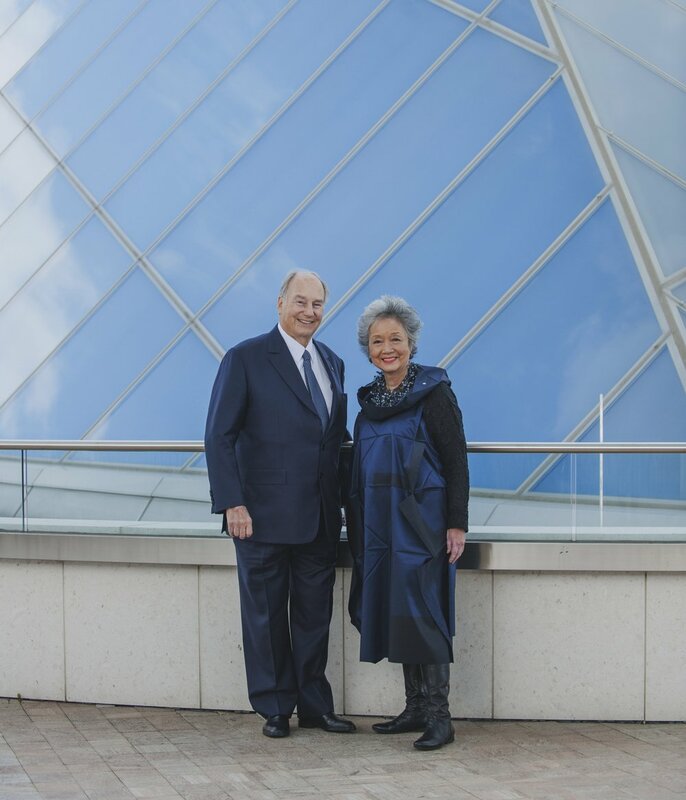 September 21st, 2016 -- The inaugural Adrienne Clarkson Prize for Global Citizenship is presented to His Highness the Aga Khan. Watch the video homage to His Highness here, and read His Highness' remarks delivered during the prize-giving ceremony here. September 19th, 2016 -- Recipient of the inaugural Adrienne Clarkson Prize for Global Citizenship announced. September 19th, 2016 -- Madame Clarkson on Metro Morning with Matt Galloway to talk about 6 Degrees Citizen Space. Listen to the interview here. August 19th, 2016 -- From the Globe and Mail and 6 Degrees Citizen Space series Experiments in Pluralism: In making room for others, we make room for ourselves – and for Canada. May 13th, 2016 -- Read Madame Clarkson's contribution to the Globe and Mail Experiments in Pluralism series here; Indigenous languages are vital to telling Canada’s story. The essay series is devoted to exploring Canada’s emerging identity as an experimental society. April 19th, 2016 -- The Ottawa Peace Talks took place in Canada in partnership with the Global Centre for Pluralism and Interpeace. View Madame Clarkson's Peace Talk here. January 27th, 2016 -- A Celebration of Life for Maurice Strong took place in Ottawa. Tributes to this great Canadian were published in the Ottawa Citizen and the Globe and Mail: Cohen: Maurice Strong was the Earth's Mr. Fix-It and Maurice Strong remembered for putting environmental issues on global stage. September 20th, 2015 -- Calgary Mayor Naheed Nenshi delivered the annual LaFontaine-Baldwin Symposium Lecture in Stratford Saturday, September 19th, 2015. Watch his lively and profound keynote address, as well as Mayor Nenshi's accompanying editorial in the Globe and Mail. September 16th, 2015 -- Madame Clarkson delivered the Opening Keynote at the 2015 International New York Times Athens Democracy Forum September 15th, 2015. Watch her address here. President Macron just called for people to contribute to the reconstruction of Notre Dame! Just heard the most FABULOUS Lou Reed concert by @artoftime. Most beautiful!! !